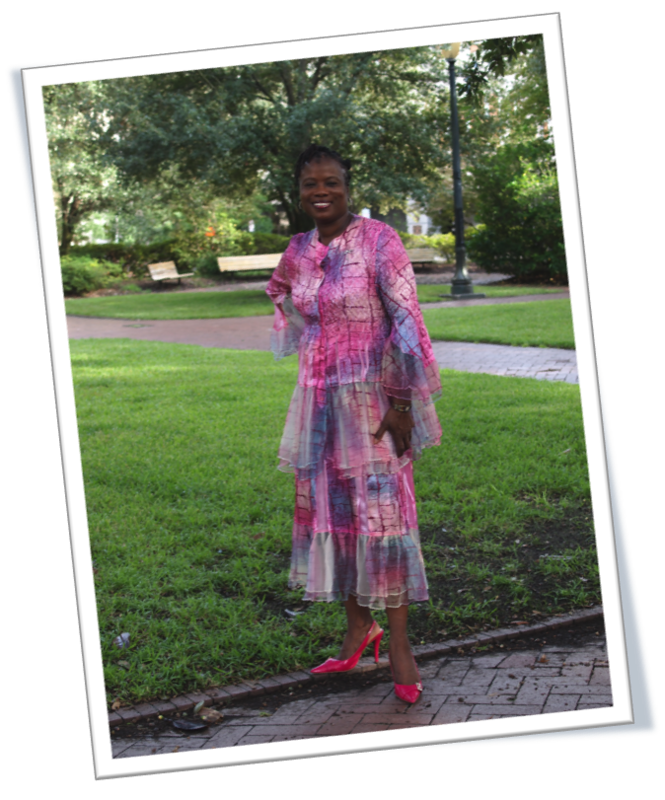 Gwendolyn Green picked Telfair Square to meet for her portrait because it is where all the Race for the Cure events start out. I entered the square and spotted her immediately – she is a tall, attractive woman with a great smile! Everyone of the survivors I’ve met this year has a great smile! We chatted a bit and I got to meet her grandson, whom she’d brought with her. She said he supports her greatly with all of the advocacy that she does and was a very handsome young man. A survivor for 19 years, Gwendolyn was diagnosed the age of 37 and has been a warrior as well, she says. ” I found the lump through breast self-examination and it was confirmed by mammography and ultrasound. It was estrogen positive and located at the Tail of Spence. The Tail of Spence is close to the axillary lymph nodes and l I thought the lymph nodes were going to be positive as well. It was GOD’s will that they were not. I underwent eight months of chemotherapy and 1.5 months of radiation. It was the longest year of my life as I was on medical leave from my job for 11 months. I am a registered nurse by profession and to see myself on the other side of the spectrum was a hard pill to swallow. I was used to being the caregiver and not the one being cared for. When I finally accepted the fact that I without a doubt had breast cancer, I immediately began to set in motion plans to be able to help myself and other people as well. Educating myself on the different aspects of breast cancer such as the what, how, when, what to expect, how to prevent or reduce risks became a vital part of who I am today. I rejoice in being able to offer so much to others,” she says of her journey through cancer. Gwendolyn is making great strides to make the community a better and more educated place. She is a true survivor and gives back as much as she can! I am so happy to meet all these great survivors each month. I’m glad to know there are people like this out there!